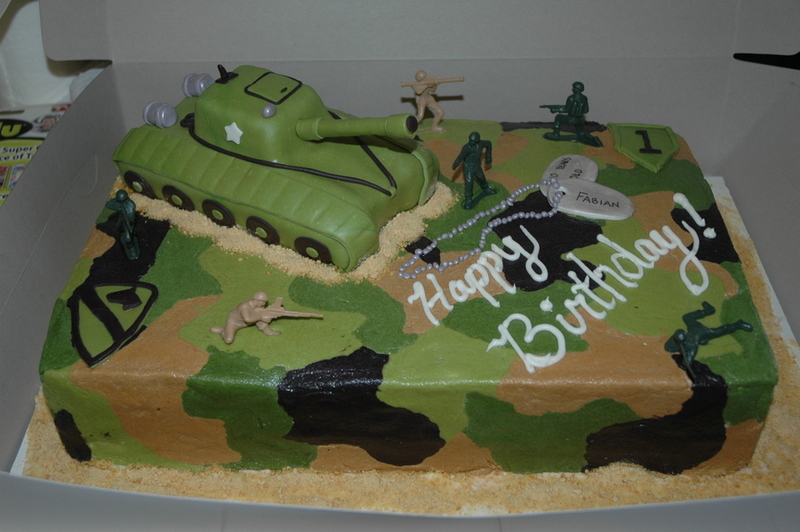 Cake for a little boy who wanted an army cake with a tank. This was my first time doing camo buttercream, it took a little time but it turned out better than I thought it would. Tank is cake, the little men are toys.